The AMG G63 may look like a lunchbox on wheels, but it's stunningly fast. When seen side by side, I won't blame you if you'll make a mistake to judge which one of these European cars will win in an SUV drag race – the AMG G63, Range Rover Sport SVR, and the SQ7, which we've seen to accelerate like a proper sports car. The Mercedes-AMG SUV looks like a lunchbox on wheels and one that doesn't care about aerodynamics, so most likely it would be at the bottom of your list, but you're wrong. Apparently, this German boxy SUV has what it takes to come out on top of a brawl, and the drag race video on top of this page from Archie Hamilton Racing is one proof of that. Initially, the race was really between the Land Rover and the Audi. It was diesel versus gasoline, and while the former's overwhelming torque figure sounds like a winning formula for a straight line race, the British SUV has a gamechanger up its sleeve – a supercharger. With that, the Range Rover Sport SVR boasts 567 horsepower and 516 pound-feet of torque, which can make it go from 0 to 62 miles per hour in just 4.3 seconds. The SQ7, on the other hand, is capable of churning out 435 hp from its diesel engine and a healthy 664 lbs-ft of torque that could come in as early as 1,000 RPM. The result? As expected, the Audi was able to pull away fast, but the generous amount of horsepower inside the Range Rover Sport SVR proved to be a better choice towards the middle of the quarter-mile dragstrip. But then again, along came the Mercedes-AMG G63. It produces a generous 577 hp and 627 lb-ft torque under its hood, which are numbers greater than what the Range Rover SVR could ever make. 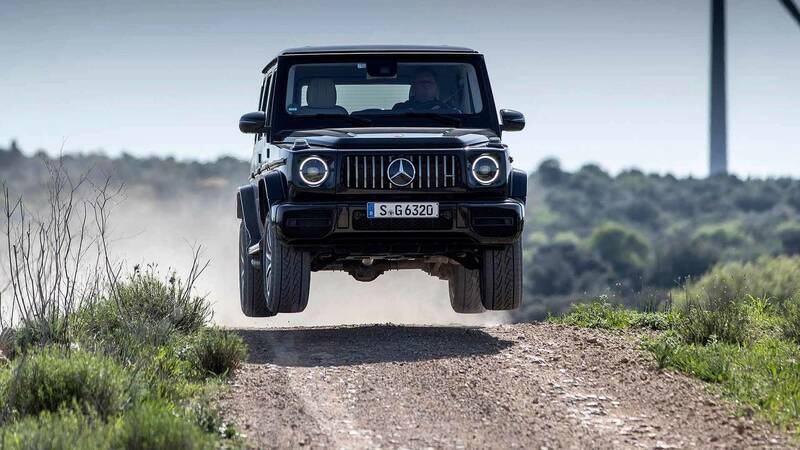 The result is, well, let's just say that the AMG G63 has just shown both SUVs who's the boss.